After booking airline tickets, you experience something that puts your next trip in question. From a terrorist incident at a destination to a work emergency at home, you may be forced to make a critical decision about your trip quickly. 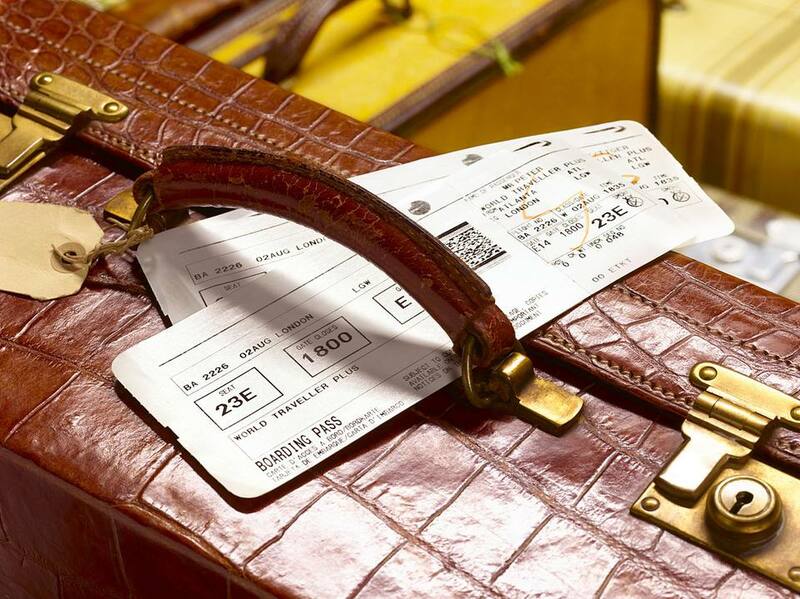 If you have tried to get a refund on an airline ticket, you know how difficult the process is. Most of the lowest-fare tickets come with the highest number of restrictions, including clauses that make it nearly impossible to get a cash refund. And some basic economy tickets are completely non-refundable, which means you need to use them or lose them. Although this is a common nightmare, those who have been through this process know that there are exceptions to every rule. By understanding your rights as a passenger, it is possible to get a respectable airline ticket refund. Here are three ways travelers may be able to get an airline ticket refund when the situation demands trip cancellation. When the Department of Transportation (DOT) revisited airline ticket rules, two critical changes helped travelers. One is the 24-hour reservation requirement, forcing airlines and travel agencies to honor all airfare prices when booked 24 hours from the first airfare search. The other is the right to cancel a flight within 24 hours of booking. Under DOT rules, travelers are allowed to cancel their airline tickets within 24 hours of booking, as long as they booked their flights at least seven days before their departure date. While this rule applies to all carriers operating in the United States, how you must request your refundable airline ticket varies. Some carriers allow travelers to manage and cancel the booking online within 24 hours. Others require the passenger to call the airline directly to request a refund. For situations that fall outside of traditional rules, travel insurance may be able to help. Most travel insurance policies offer basic trip cancellation benefits. When purchased before your trip, it turns your airfare into a refundable airline ticket. However, your situation must fall under a qualified event category for travel insurance to cover your ticket. For example: If an immediate family member were to pass away, or you get into a car accident on the way to the airport, trip cancellation benefits could reimburse you for your airline ticket price. If you are concerned about anything else, you may want to consider purchasing Cancel for Any Reason travel insurance instead. As an early purchase benefit (usually within 21 days of purchasing an airplane ticket), Cancel for Any Reason allows you to have ultimate control of canceling travel plans. The downside of Cancel for Any Reason is that it won't cover the entire price of a ticket. In many cases, requesting a refund under cancel for any reason only returns around 70 percent of a ticket price. Under the worst circumstances, airlines have been known to consider cancellations on a case-by-case basis. During the Zika virus outbreak, some airlines considered refund requests from nervous flyers. If you plan on requesting a refund for an extenuating circumstance, you must be prepared with documentation that backs up your request. For example: If the originally ticketed traveler dies, then the airline may require a death certificate to consider a refund. If you ask for a refund based on illness or injury, you should present the airline with a letter from your attending physician noting when you were injured and why you can't take your flight. While airlines will consider bending ticket policies for some extraordinary circumstances, there are many situations that airlines will not consider. For example, work situations and veterinary emergencies often don't count for airline reconsideration. If you are concerned about personal situations and do not wish to buy travel insurance, your other option is purchasing a full-fare ticket, which may earn extra frequent flyer miles and is refundable. Though the process can be difficult, making any airfare a refundable airline ticket is possible. By understanding the situations and when you can get a refund, you could still recover some of the ticket cost back when other plans force you to cancel your next flight.